Kids Non Profits USA, LLC (KNPUSA) offers four convenient packages (Platinum, Gold, Silver, and Bronze) to meet your organization's individual needs for non-profit and tax exempt application services. These package fees do not include state incorporation fees or the IRS application fee. Once approved for federal tax exempt status, KNPUSA files state income and/or sales tax exempt application(s) (if applicable). Additional state filing fee(s) may apply. KNPUSA prepares the organization’s Articles of Incorporation and Bylaws to conform with federal and state guidelines. In order to conduct fundraisers, accept donations, and solicit for sponsorships, most states require registration as a charitable organization. Additional registration fees may apply. For KNPUSA services only (1-2 day processing). Expedite service includes expedited KNPUSA internal processing and expedited shipping to IRS (all tax exempt applications) and Secretary of State (corporation filings). Service does not include expedited IRS or state processing. KNPUSA secures an Employer Identification Number (EIN) for the organization. All organizations are required to have an EIN regardless of whether or not these are actual employees. KNPUSA prepares and files Articles of Incorporation and other necessary paperwork to incorporate your organization as a non-profit corporation in your state. Additional state filing fee will apply. 501(c)(3) status. KNPUSA prepares and submits your organization's application for IRS 501(c)(3) status. KNPUSA prepares the organization’s Articles of Association and Bylaws to conform with federal and state guidelines. KNPUSA secures an Employer Identification Number (EIN) for the organization. All organizations are required to have an EIN regardless of whether or not there are actual employees. In order to conduct fundraisers, accept donations, and solicit for sponsorships, most states require registration as a charitable organization. Additional registration fees may apply. This requirement applies to both incorporated organizations and unincorporated associations. If your organization is already incorporated, there is a likely probability that your document will need to be amended. The IRS requires that all Articles of Incorporation include a Purpose statement indicating that the organization limit its activities to the exempt purposes as described by IRS section 501(c)(3) Tax Code as well as a Dissolution clause stating that in the event of dissolution all assets will be distributed to another 501(c)(3) organization or a body of government. If your existing Articles of Incorporation do not meet these requirements, then this service will be necessary for KNPUSA to prepare an Articles of Amendment document and file it with your state’s Secretary of State Office. This service is for organizations that choose to prepare the application package on their own. KNPUSA offers this service to review your organization's entire application package (501(c)(3) application, financials, articles of incorporation, bylaws, and other application materials. A consultation is included to advise applicant of any needed corrections prior to submission to the IRS. For KNPUSA services only (6-7 day processing). Expedite service includes expedited KNPUSA internal processing of final IRS tax exempt application and expedited shipping to IRS (all tax exempt applications) and Secretary of State (corporation filings). Service does not include expedited IRS or state processing. If your organization requires any other services that are not covered in one of our packages or additional service offering, we still may be able to help. KNPUSA can help with such services as reinstating a corporation that has been suspended or dissolved, converting from one type of corporation to a non-profit corporation, and many other situations. Please click here to describe the situation and request a price quote. KNPUSA realizes that our clients do not possess the financial resources to take a gamble on merely the possibility of acquiring IRS tax exempt status. Therefore, KNPUSA guarantees that your application will be approved, with two conditions. (1) You must use one of KNPUSA's package services (Platinum, Gold, Silver, or Bronze), (2) All of the information that you submit to KNPUSA must be true and accurate, and (3) You must follow the recommendations that your KNPUSA consultant offers. If we feel that your application may be denied, we will advise you in advance and offer a complete refund prior to filing. Once we have filed for your organization, we are with you until you are approved. If for any reason your application is denied (other than your organization providing false information or other situations that are beyond KNPUSA's control), we will file the necessary corrections or appeals to get your organization approved. 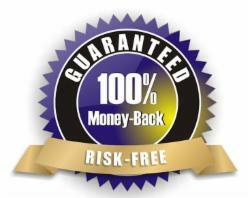 If we fail that, we will give you a 100% refund of all fees appliable to the tax exempt filing. Fees excluded from this offer are: EIN Application, Expedite Service Fee, Incorporation Services, and Bylaws Preparation fee. Additionally, the IRS will refund their application fee. In essence, our service is completely risk-free. Please note that this guarantee only applies to federal income tax exemption applications.